Drift, I'm sure Square Enix will add locked framerate and/or a more optmized mode soon, it's a very high profile title and Square Enix will want to support it as much as they can, in order to ensure sales remain strong throughout the year. Frankly, I'm waiting for the inevitable PC version. Hopefully Square Enix will also bring Kingdom Hearts HD 1.5 Remix, Kingdom Hearts HD 2.5 Remix, and Kingdom Hearts HD 2.8 Final Chapter Prologue to PC as well. It's been a long time since I've played KH1 and KH2, and the story is, well... fuzzy, to say the least. Reminds me of Final Fantasy 13 and how Square Enix released a long trailer to explain its story before Final Fantasy 13-2's launch, to which most people - me included - were like: "So that's what happened!?!" and I 100% that game. You can force 1080p on PS4 Pro which apprently runs best on consoles. Frankly, I'm waiting for the inevitable PC version. For those with the hardware, yes. But it will be very taxing just like Final Fantasy 15 is on PC. However, the game already looks gorgeous on consoles, and will look even better with more graphical enhancements - even at 1080p or 1440p. 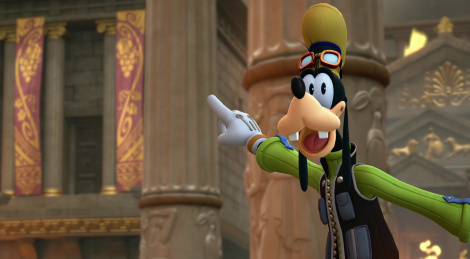 I just hope Square Enix brings the new HD versions as well, while I still have the KH1 and 2 discs, the new HD versions have better visuals and they fixed some issues with the original games.